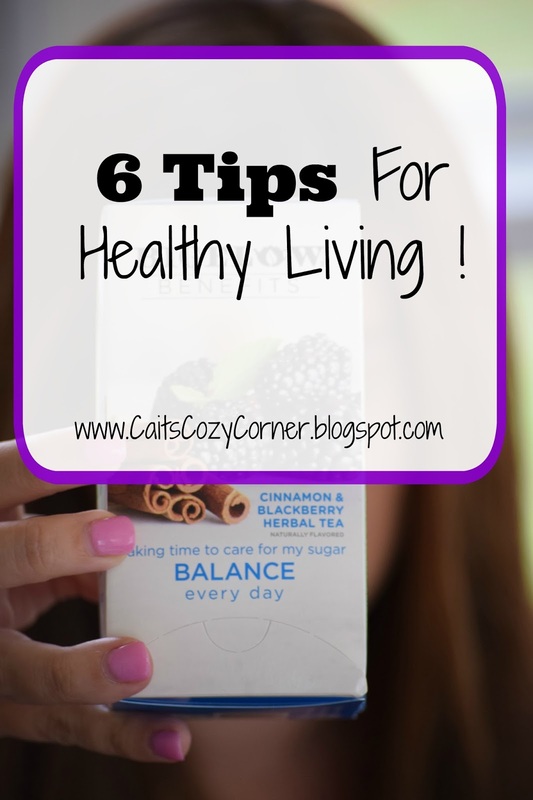 Cait's Cozy Corner : 6 Tips For Healthy Living ! 6 Tips For Healthy Living ! I may be about 8 months pregnant but that doesn't stop me from actively seeking a healthy lifestyle for myself, my soon to be newborn son, my toddler and my husband. By showing that I'm active, it hopefully will be installing a love for healthy living that my toddler will have as she continues to grow. Healthy living doesn't have to be complicated, expensive or time consuming! In fact, I have a few easy tips to share with you that I bet you could even start today! Here's 6 easy tips for healthy living! 1. Exercise - We all know that exercise is extremely beneficial for a healthy lifestyle, but let's start slow. Grab a friend and start walking your neighborhood, your work parking lot or take the stairs instead of the elevator. Simple things can start building up just by starting small. 2. Drink More - We all hear to drink 6-8 glasses of water a day. 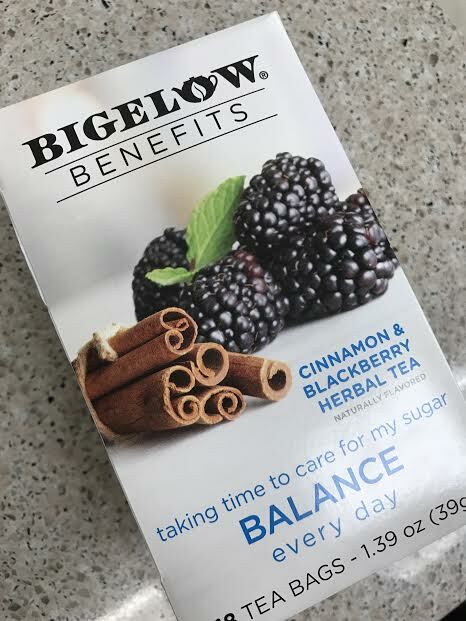 Although I hate to admit I'm not a huge water drinker, I do enjoy having a few cups of Bigelow Tea throughout the day. It contains fuel that my body needs to keep me healthy and happy! My favorite right now is the Balance Cinnamon and Blackberry. Mmm it instantly puts me in a good mood after a few sips and a great pick me up to start my day! 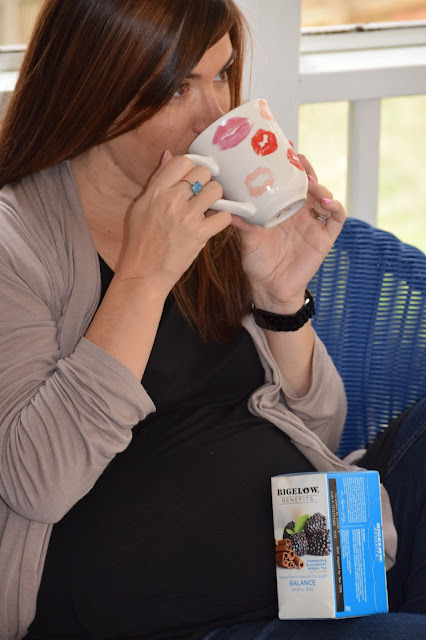 The tea has a sweet and spicy cinnamon top with a smooth blended balance of sweet and tart. 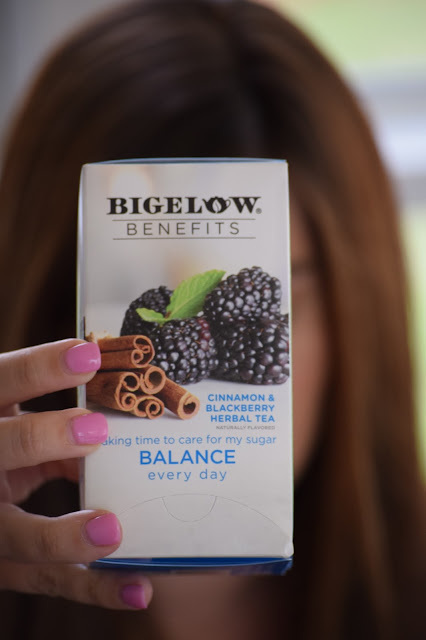 Did you know that drinking Bigelow tea's new line is designed to help support your every day wellness by fueling your body with good for you ingredients? They are gluten free, non-GMO and blended and produced right here in the USA! 3. Sleep - It can be difficult to get the 8 hours of sleep our body craves. I try to get in bed an hour before to give my body time to relax. Reading a book, soft lighting or soothing music is always key. 4. Eat Well - Try eating brain boosting foods in a rainbow assortment. I love eating kale, apples, banana chips and oatmeal ( not all together of course ). Enjoy lean meats and experimenting in the kitchen! You'll never know what great creation you'll make! 5. Think Positive - Focus on all the blessings your life. Friends. Family. A job you enjoy going too. These are all things to keep us focused and living well. Listen to inspirational music on your way to work to start the day. 6. Give Love - Help someone in need. Focus on your growing relationships and with the people that lift you up. Those are the ones that are always going to support and believe in you. Well you have that, your life feel more fulfilled and you know you're living well. 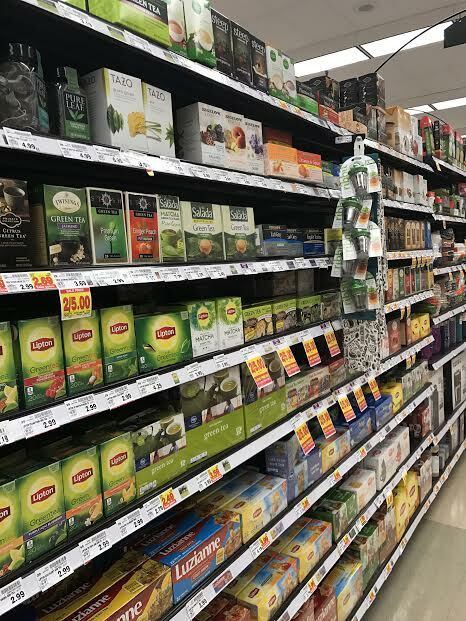 I found my favorite tea at my local Kroger and couldn't wait to stock up on some of their amazing flavors. Find out more about their amazing benefits of Bigelow Tea here. Interested in wanting to become healthier? Try one of these amazing teas just in your daily routine today! I drink a ton of tea, but I've never seen this kind from Bigelow. I'm a huge cinnamon fan, so I'll have to try out the Blackberry Cinnamon! I'll have to try this tea! I've seen it in the stores and always wondered about it. Also, I love that you included sleep! People don't realize how important sleep is! I'm a big tea drinker. I picked up the stomach calm a few weeks ago. 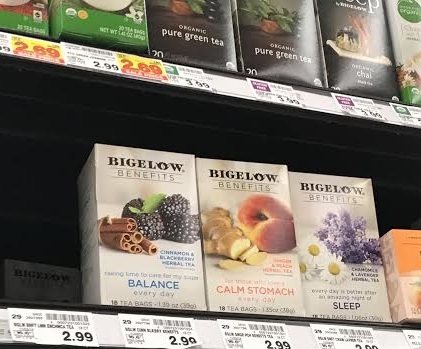 I didn't know bigelow had a new set of teas! I used to drink their teas all the time.